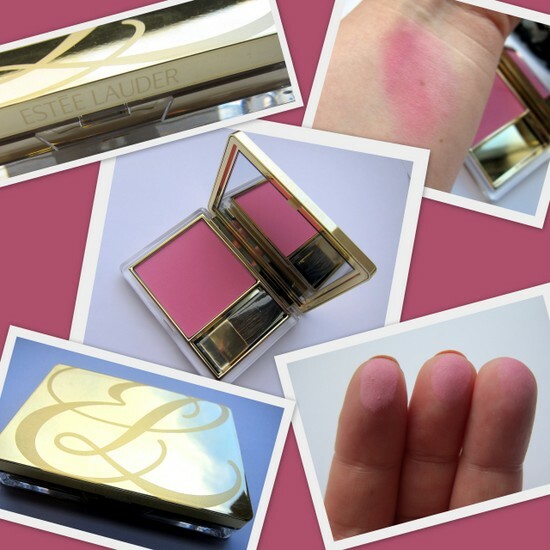 Estée Lauder Pure Color Blush in Electric Pink: Review, Pictures and Swatches! Honestly, it's like Tom Pecheux has been reading my mind. He's only gone and revamped the entire Estée Lauder blush line and, American spelling aside, the new Pure Colour Color Blush in Electric Pink is my new favourite thing. Bold, bright and oh-so-pretty, it's spring in a palette. Electric Pink is one of 14 shades in a range of colours that includes everything from brights to more subtle nudes, peaches and pinks. They come in a satin or shimmer finish and promise longlasting colour combinbed with antioxidant 'skin-loving ingredients', including cranberry and goji berry extracts. Out this month, these are priced at €36.50 and for your money, you get absolutely masses of product: 7 grams of product in a sleek oversized palette. The old blushers came in a dark blue compact - I have Peach Nuance, which is a couple of years old - whereas the new range is all shiny gold and clear perspex, to match the Pure Color eyeshadows that came out a couple of years back. I'm delighted with the colour I was sent to play with; Electric Pink is definitely one I'd have gone for myself. It's vibrant, silky smooth and very pigmented - I apply it with a duo-fibre 'skunk' brush for a more sheer finish and it instantly brightens my face. And it really does stay put all day. Ok, so these aren't the cheapest blushers I've ever seen but for a generously sized, high-performing, high-end product with gorgeous packaging, I really think they're worth the price. What do you reckon, will you be visiting them at an Estée Lauder counter near you? Oh this is beautiful.... Will be checking them out when I hit the duty free soon! I'm of the belief that if you buy there, it doesn't count! Oooh! 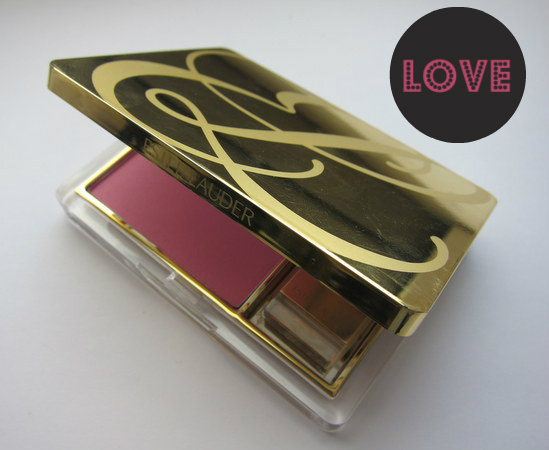 I LOVE estee lauder, it's slowly becoming one of my favourite brands! I still want to get my hands on the mad men collection blush compact. I know these are pricey (and i always think the space for the brush is a waste of packaging) but I'm sure this would be with you for quite a while! Thanks for the swatches, gotta go try them out myself soon! The blush I currently use does not stay on very long, so I think something like this sounds perfect for me! The color is so pretty, too. This is really pretty, and EL always has beautiful packaging which I believe accounts for the price! So you totally made my day with the spice girls comment :) I loved them then and still do..and now that you mentioned it I remember the union jack dress :) BTW...victoria beckham is my favorite then and now! I love Estee Lauder. Their makeup is fantastic, and the packaging is tres, tres chic. What a beauty - the perfect Spring pink! I love how vibrant it is! So beautiful. Great product review. I just ran out of my favorite blush (Clinique's "New Clover") and am in the market for a new one. I've been using the same one for years and think its time for a change. Thanks for stopping by my blog today! Ooh very pretty, I'm a sucker for glam packaging! The colour is really pretty, looksintense enough tinwork on tanned skin too! The main blush I wear (by MAC) is a similar shade so I just might have to checkout this one!! Great review, I love a pink cheek and that blush looks perfect! Is this close to nars gaeity?